Emojis help us better express our emotions online and in text messages when words aren't enough. Despite this, the complexity of our thoughts and emotions still go far beyond the limited range of ideograms and smiley faces offered by the keyboard on our mobile devices. Even when you think you just used the best three or four emojis to accurately convey a specific message, this doesn't guarantee that other people will be able to translate your message so easily. Likewise, trying to decode the message behind emojis used by others can be just as confusing. In these types of cases, an emoji translator tool can come in handy. 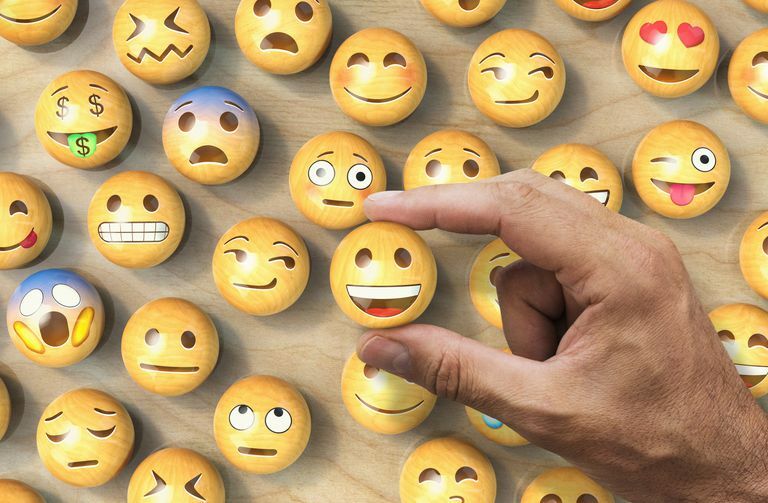 Check out the following list of emoji translator websites and mobile apps to help you express yourself and decode your friends' messages a little more easily. Lots of emojis to pick from. A search tool makes it easy to find emojis. Can't pick emojis from the online gallery when using it from a mobile device. Decodemoji is an easy to use, web-based tool that lets you input any combination of emojis you want so that they can be translated into plain English (and vice versa). The tool forms complete sentences too, so you're never left with words and phrases that don't quite make sense. As an example, inputting a face blowing a kiss, a smiling face with horns and a smiling face with open mouth and cold sweat will decode this emoji combination as: "The kissy face commits a sin happily." Lets you write anything you want. You can copy the translation out of the box. Super Emoji Translator picks up on certain words in a message and replaces them with one or multiple emojis to help describe them while leaving the parts of the message alone. After clicking the big blue "Let's Get Started" button on the front page, type or paste your message in the given field and click the blue button below it to translate your message. Makes copying the translation really easy. This emoji translation tool was built by web developer Monica Dinculescu. A fun side project hosted on her personal website, the tool simply replaces some words in any message with emojis while leaving the rest of the unidentifiable or irreplaceable words intact. All you have to do is start typing or alternatively copy and paste some text into the give field. Press the big, pink Copy to Clipboard button to copy it so you can paste it anywhere. Lets you edit the translation before copying it. Sometimes doesn't replace words with an emoji. If you have a sentence, a paragraph or even several pages worth of words you'd like to dress up with emojis, LingoJam's Emoji Translator can help you do that with a simple click of your mouse. While the tool doesn't completely replace words with emojis, it identifies corresponding emojis and then inserts them before and/or after the word to give it visual emphasis. Just copy the sentences or paragraphs you want to use, paste it into the text field on the left side of the screen and watch your message instantly come to life on the right with all sorts of different emojis. Emoji Are Fun to Use on Your Phone, but What About Your Computer?